Avery Publishing Group, 9781592409044, 320pp. 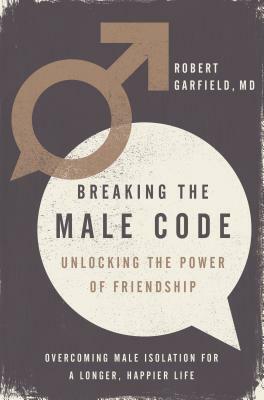 Calling for a new men's movement, a noted psychotherapist examines the critical role close male friendships play in helping men lead happy, healthy lives. For much of the past century, men have operated under the rules of Male Code, a rigid set of guidelines that equate masculinity with stoicism, silence, and strength. As men's roles have changed over the past few decades, this lingering pressure to hide their emotions has wreaked havoc on men's lives. Lacking the ability to communicate their needs, desires, and feelings effectively, they are more likely to suffer from depression, anger, and isolation, and their relationships often suffer. Noted psychotherapist Rob Garfield has worked with men struggling with emotional issues for more than forty years. Through his Friendship Labs, clinical settings in which men engage in group therapy, he teaches men how to identify inner conflicts, express emotions, and communicate openly. According to Garfield, traditional therapy has largely marginalized men since many lack the tools to properly engage. But when men learn to open up to other men who share similar experiences, backgrounds, and perspectives, they not only build lasting bonds but learn the skills necessary to thrive in all aspects of their lives. Writing with empathy and authority, Garfield examines the unique challenges men face and urges them to abandon male code in favor of a masculinity that integrates traditional male traits with emotional intimacy skills. He urges men to connect with other men using the Four C's of intimacy connection, communication, commitment, and co-operation to form meaningful bonds. Drawing on real-life stories and original research, he shows how their friendships can serve as the foundation on which men can build and sustain deep relationships with all of their loved ones including spouses, children, and parents and in turn lead to happier, healthier lives. Rob Garfield M.D., a psychotherapist and clinical faculty member in the Department of Psychiatry at the University of Pennsylvania, has been recognized byPhiladelphia Magazineas both one of the city's "Top Docs" and "Best Therapists." An engaging speaker, he has presented his work on men's friendships to both lay and professional audiences and published numerous articles on the subject of male emotional intimacy."